No office hours Nov. 5 – Nov. 9. We can help you with all your real estate needs in a SNAP! Your MWP Expert! Don Skillman’s recommendations for general home services, tree service, heating and cooling, windows, painting and construction, roofing, pest control, and gutter and siding. Click here for recommendations. 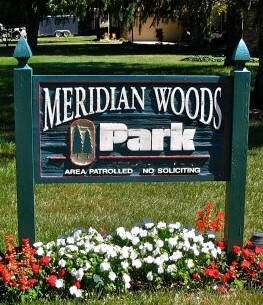 Meridian Woods Park Country Club, Inc.
© 2018 Meridian Woods Park Country Club, Inc. Consider joining Meridian Woods’ weekly fitness activities, generally available to young adults and adults, ages 14 and up. Please check the neighborhood calendar for the current schedule. Tai Chi, Mondays at 6:45 pm (excluding the 2nd Monday of the month), immediately before weekly Martial Arts. Tai Chi is a Chinese art that uses slow movement and careful breathing to promote muscle tone, flexibility, and circulation. This activity is free of charge. Please contact Matthew Sherman for more information: matthew.sherman.3@gmail.com or 317-786- 0528. Kempo, Mondays at 7:30 pm, aims at fitness, coordination, and effective self-defense. This activity is provided to residents free of charge. Please contact the instructor and Meridian Woods resident, Matthew Sherman, for more information: matthew.sherman.3@gmail.com or 317-786-0528. Yoga, Tuesdays from 7:00 pm, aims at health through flexibility and balance. This activity charges only $5 per week, and is taught by a qualified yoga instructor. Please contact ksharmonsherman@gmail.com for more information.